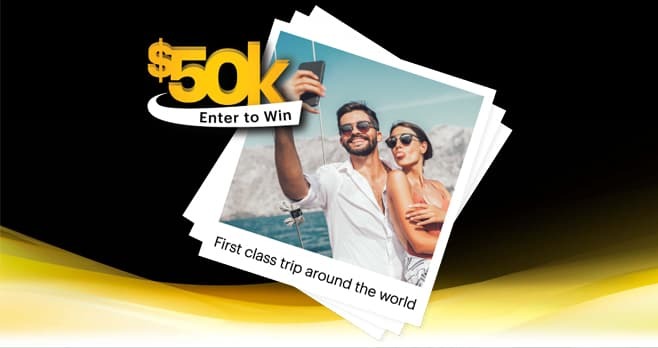 Sprint AAdvantage $50K Sweepstakes: Picture the possibilities and enter this Sprint Sweepstakes for your chance to win a check for $50,000. Enter once per month through June 30, 2019 for new chances to win the grand prize. The Sprint AAdvantage $50K Sweepstakes is open only to legal residents of the fifty United States and the District of Columbia who are eighteen years of age or older and are current employed at or a member of an eligible company associated with an individual prize pool. The Sweepstakes begins on April 12, 2019 at 8:00 AM ET and ends on June 30, 2019 at 4:59:59 PM ET. Limit one (1) entry per entrant per Entry Period during the entire Promotion Period. The grand prize consists of a check for $50,000. Visit www.sprint.com/flyaway50K to enter and see Official Rules for details.